After a lengthy tease of their new mid-size pickup truck, Nissan finally unveiled the 2015 Navara (sold here as the Frontier). Visually, the Navara is different from its last iteration, dropping the old rugged off-roader look; this version is now a luxury vehicle. The front is also similar to other Nissan products, with a large chrome grille and LED daytime-running lights. The interior is also more luxurious, with a style reminiscent of the Altima. An LCD screen now resides between the two dials in the instrument cluster, keeping the driver informed with a myriad of data, like satellite navigation and updates from the infotainment system. The chassis was completely re-engineered to be more resistant. The truck will still feature leaf-spring suspension in the back, which is good news for those wishing to haul heavy stuff in the bed. With an electronic transfer case, the Navara can be placed in 4WD mode while driving. Of course, a full array of driver’s aids will be equipped in the pickup, from Traction Control to Hill-start Assist. 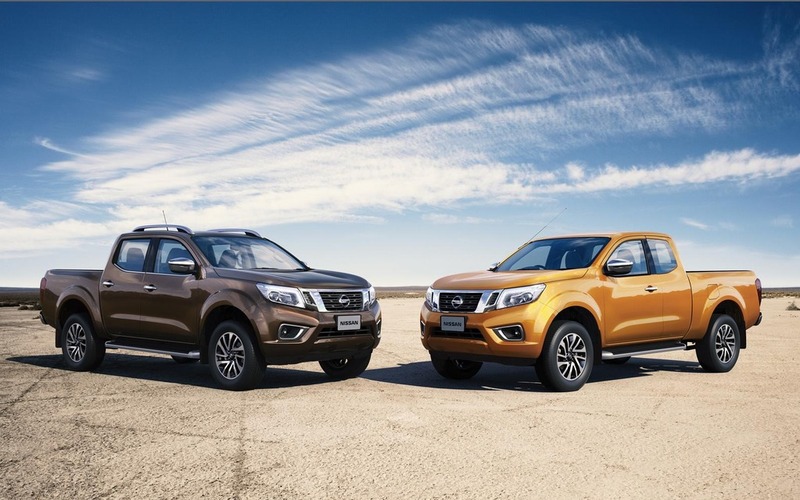 The North American specs have not being unveiled yet, meaning that there may be some minor changes made to the Navara before it takes the Frontier name. However, the looks won’t change, so get used to this Nissan’s new face!